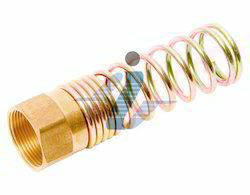 The air brake hose nut with spring is a complete set of mechanical components from the house of Imperial brass components. Our range is inclusive of many such products that go at industry leading prices at the overseas and inland markets alike. Our product comes to use in many industrial sectors, and hence respected for its high quality. Our product is available in customization as well. 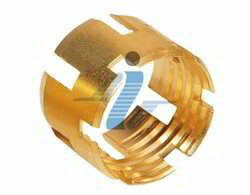 The imperial brass components are involved in the fabrication of high quality air brake hose sleeves that come with the promise of quality output and long run performance. Additionally, we make use of our state-of-the-art mechanics to insure full quality on the on the sleeve. Our sleeves are compatible with most braking systems in line. We also provide for customization on our product. 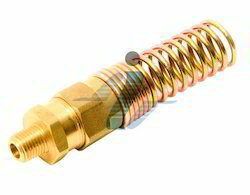 The air brake hose connector complete assembly is a product of great expertise and flawless engineering. Composed from high-end mechanical prowess, our production assortment comes in demanded in the overseas market, more than anything else is. Additionally, we offer our product over long distances, and in large consignments, as well. 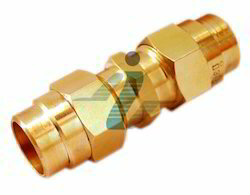 Imperial brass components are a quality manufacturer of air brake hose connector body that has a good popularity in the industrial and domestic sectors of the country. Our assortment is inclusive of elbows, ferrules and so on. We sell at market leading prices, with all options of customization open for our trusted clientele. Our product promises durability. The air brake hose connector from our line-up is high on quality and performance both. Additionally, we make use of an advanced state of the state mechanism for complete delivery of performance and quality on our components. 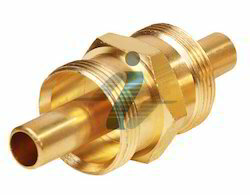 Besides, we are making use of imported brass inputs for complete quality on our products. The air brake hose union from the house of IBC is a product engineered and designed for specific applications in the Petro-chemical industrial sector. 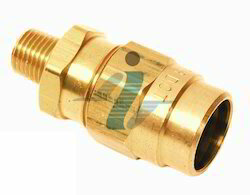 Made from imported grades of brass, our component sells well in the various sectors of the world market at very reasonable market prices. We also offer customization on our product value. Besides, we sell at industry leading prices. 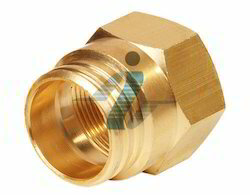 The air brake hose nut only is a packed assembly from the house of imperial brass components. We ensure quality engineering and client feedback on our production line. Additionally, we compose our line-up from the best available resources that could insure full performance on our line-up. We sell our assembly at industry leading prices. The air brake hose union assembly is a product of unmatched quality and performance on the long run. Additionally, we provide for customization and post-sales support on our product through a good series of team feedbacks. Our product comes for multiple industrial sectors and is popular for its precision and fluid control systems. Looking for Air Brake Fittings Products ?